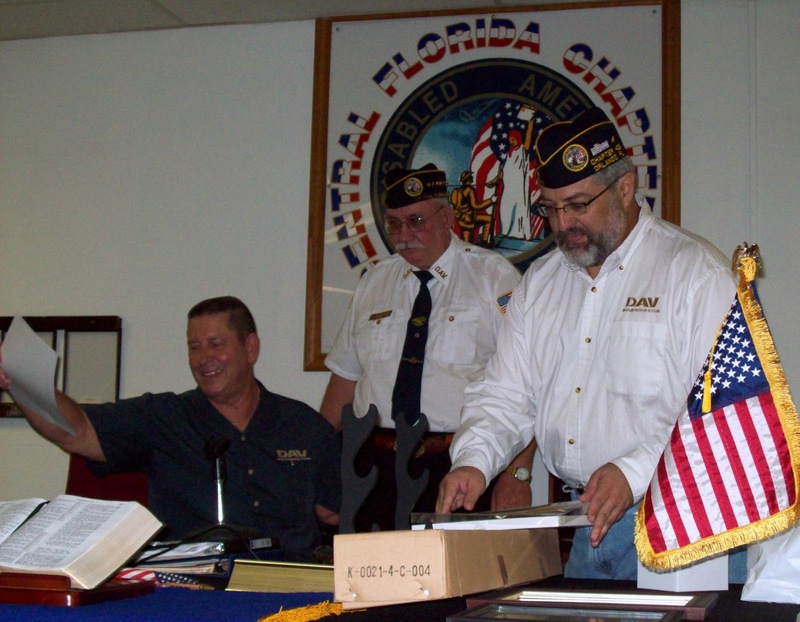 Central Florida Chapter and Unit 16 thanks past National Commander and immediate Past State Commander James Sursely and outgoing officers and welcomes incoming Commander Brad Bouters and incoming officers. Thank you for your service! 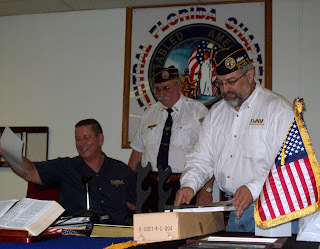 OS91 appreciates the Orlando DAV and DAVA Chapter 16 and we pray for you daily. Congratulations to all! Thank you, Chaplain Lyle for your invitation! 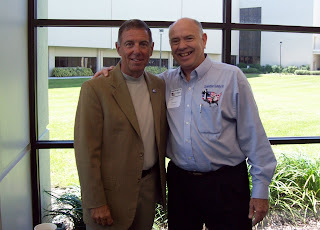 Retired US Army Colonel Danny McKnight was featured as guest speaker today at The Central Florida Christian Chamber of Commerce luncheon in Faith Hall at 1st Baptist Orlando. Colonel McKnight is a true American hero and has been awarded the Legion of Merit (2OLC), the Bronze Star Medal W/V Device, the Purple Heart, the Meritorious Service Medal (5OLC), the Army Commendation Medal (1OLC), the Army Achievement Medal, the National Defense Service Medal w/Bronze Star, the Armed Forces Expeditionary Medal w/Arrowhead and Bronze Star, the Combat Infantryman’s Badge, the Ranger Tab, The Master Parachutist Badge w/Bronze Star and the Pathfinder Badge. 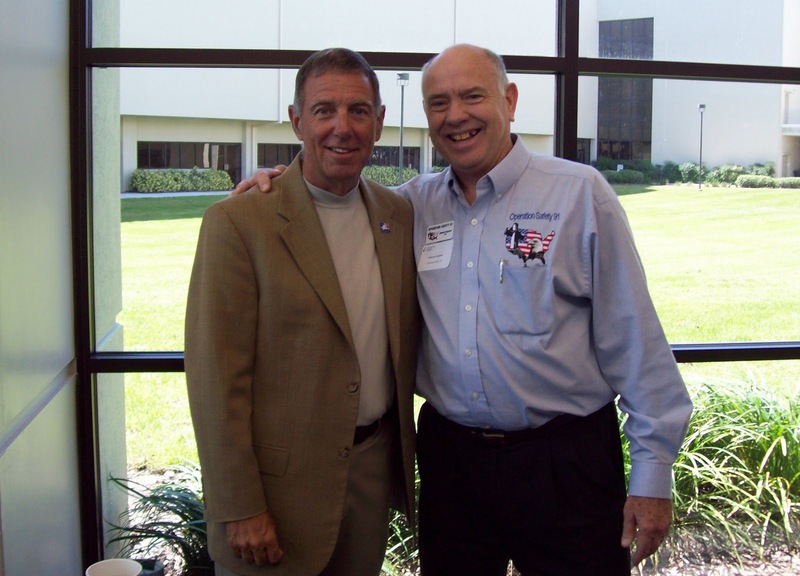 It was an honor for Ed to meet Colonel McKnight at this luncheon and present him with the book, Psalm 91: God's Shield of Protection, Military Version, by Peggy Joyce Ruth. Thank you for your service, Colonel, and know that OS91 prays for you daily! Rev. 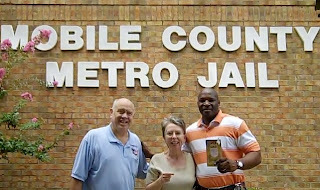 Kenneth Davis (far right) of Mobile County Metro Jail in Mobile, AL, has been a faithful partner of Operation Safety 91 for two years. 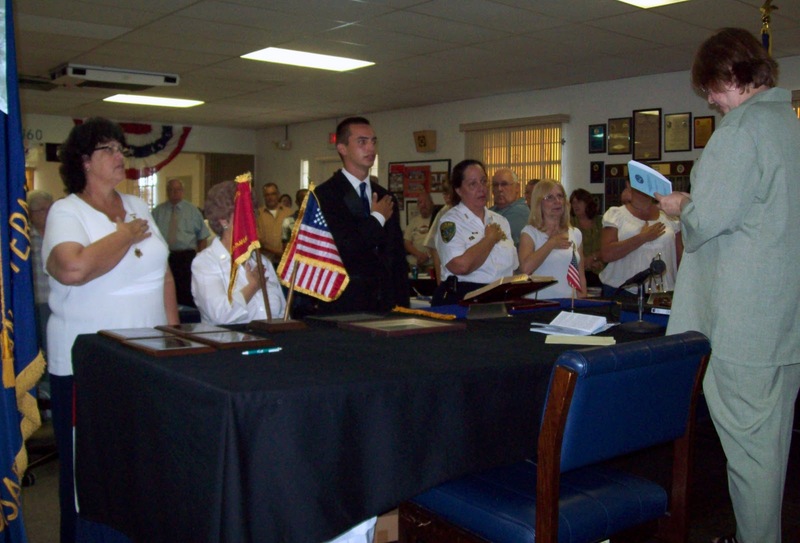 Chaplain Kenny, once an inmate in the jail where he now is Chaplain, devotes himself to the spiritual, physical and emotional needs of the inmates at this location as well as two prisons in the same city. Ed and Mary were privileged to have two visits with this extraordinary Chaplain, one of which was a tour of the Chapel where he preaches and teaches the Word of God to those inmates who are ready to listen. A great joy to us was seeing the resources which Kenny distributes both inside and outside of the Prisons in Mobile and how few he had remaining from his palette delivery just a few days before! Chaplain Kenny has a real heart for those who he serves and truly devotes his life to his God given mission. Kenny also distributes Ps 91, God's Shield of Protection not only to the Correction Officers at all three facilities, but to the Law Enforcement Officers and Police men and women in Mobile. 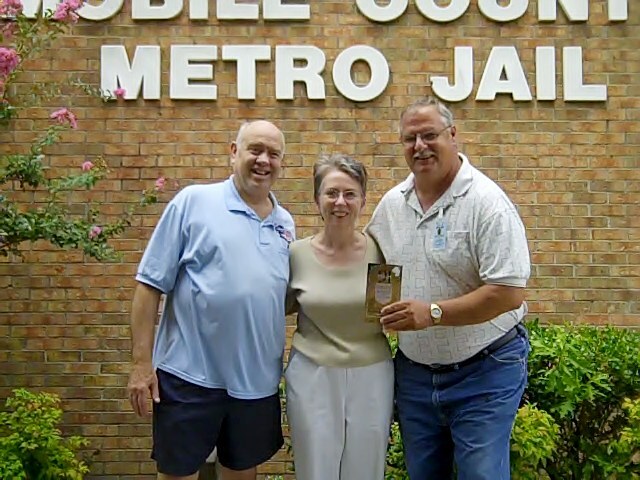 While visiting in the prison, Chaplain Kenny introduced us to another Chaplain, Rev. Bill Fortenberry, who jumped right in and joined OS91 as a Chaplain partner to get the message out concerning God's Covenant of Protection in Psalm 91. Mary came home with two large orders for these wonderful men to distribute. It was more than a joy to be with you, Kenny and thank you for introducing us to Bill. Know that you are in our prayers daily! We pray we find many, many more just like you!